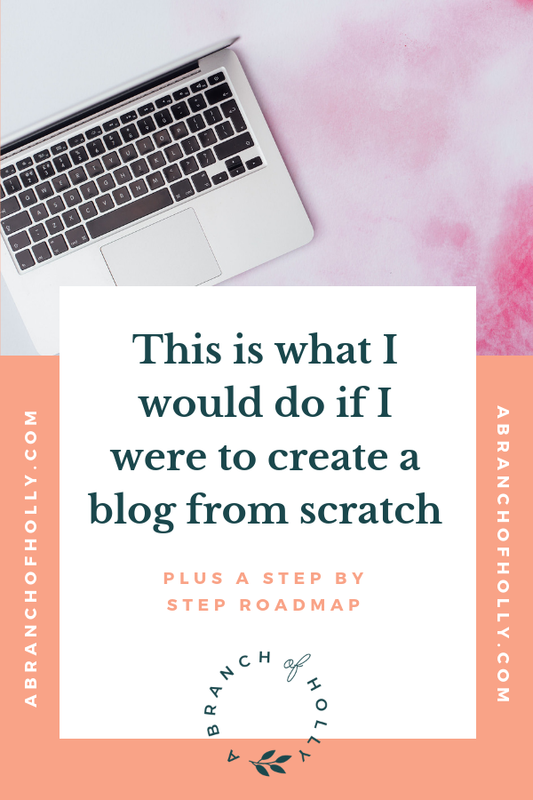 I’ve written countless posts on ABOH about how to grow your blog and make it better. But to create a blog from scratch in today’s digital ecosystem can be tough. If you don’t set it up correctly, you won’t do well no matter what kind of marketing you do. And if you think I’m talking about the technical setup of your blog, you’d be wrong. I am talking about the foundation. There are a lot of basics people get wrong, from what you blog about, to how you structure your content. If you get those basics wrong, it’s going to be that much harder for you to get more traffic (and, more importantly, monetise that traffic). So, if I had to create a blog from scratch again, these are the concepts and ideas I would follow before even writing my first blog post. P.S. If you want to see these strategies in action, get access to a FREE Blogging Workshop below! Unless you’ve got an endless supply of money (and not even then), you have to pick a niche. It’s just too hard to compete on a broad level with sites like Huffington Post and Business Insider. They are well funded and are able to produce huge amounts of content from big and small contributors. On the other hand, if your niche is too small, it will be hard for you to grow your traffic and monetise your blog. This is because there won’t be enough people interested in what you are blogging about. As an example, you want to aim for a niche that is bigger than “digital marketing” but smaller than “nutrition”. The beauty of using more platforms is that this gives you more chance to repurpose your content. Blogging is competitive. Your job is to make sure you push your content out on as many platforms as possible to ensure that you’ll get the most eyeballs. Setting up as many social accounts as you can is really important. You also want to make sure the branding and imagery are the same across all of them. Try to generate some followers by following these steps so that when you start producing unique content, you’ll have places to promote it. Guess what? Google doesn’t penalise for duplicate content. But that doesn’t mean you should just post your content on every platform without thinking about it. The only platform that doesn’t have an algorithm that you need to worry about is your own blog. You know platforms like Facebook, LinkedIn, Instagram and Twitter all have algorithms and you can’t fully control them. When you’re posting on these other platforms, always link back out to your own site. The more people you can get back to your site, the better chance you will have of growing your traffic and monetising. Social platforms like Facebook don’t make it easy for you to generate revenue if you keep your readers on their platform. People don’t come to a blog to read an essay or a white paper. Blogging is supposed to be informal. People want to read stories. They want to be involved in a conversation. The easiest way to do this is to use the words “you” and “I” within your blog posts. This is one simple change that will help you build a much deeper connection with your readers. A deeper connection means better monetisation in the future. Even if comments aren’t what they used to be, at the end of every blog post, always ask a question. If you don’t ask a question, how are people going to know what to do next? By asking a question, some of your readers will answer it by leaving a comment. This will increase engagement, which again will make it easier to monetise in the long run. There are over a billion blogs on the web and that number is rising every day. This means blogging is going to get even more competitive over time. So how do you stand out when the market is so crowded? You have to go above and beyond. You have to over deliver. There is no single answer because every industry is different. But typically, your visuals and doing the opposite of everyone else in your space will help you stand out. For instance, if everyone in your space writes 1,000-word blog posts, test out writing 5,000-word posts. Or if everyone is using text-based content, test out visual based content like infographics or video. When you create a blog, you need to put your readers first and that’s where this tip comes into play. People are on the go these days. Your content needs to be easy to digest. It needs to be portable. Consumable. For instance, if you create video-based content or audio-based content (podcasts), those are simple ways to make your content portable. It’s much easier to watch video-based content on your mobile phone when on the bus or listen to a podcast while you are driving. I know you’ve heard the saying that content is king. But here’s a question for you: is it really? There are over 2 million blog posts published daily. And the list keeps on growing. The Washington Post publishes over 500 pieces of content per day. 240 for The Wall Street Journal, 230 for the New York Times and Buzzfeed is around 222. That means writing average content isn’t good enough. It won’t cut it, it won’t do well and you’ll just be waiting your time. So don’t write content unless it is really, really, really good. It’s an age old saying but it’s true. Not only does your content have to be amazing, but you have to publish amazing content in quantity. Just because you write an amazing blog post, it doesn’t mean you will do well. The game of content marketing is one in which your posts will do well or they won’t. And in most cases, your content won’t do as well as you want no matter how good you are at marketing. To increase your odds of success, you need to be willing to produce amazing content in quantity. Especially early on, you want to save your best content for other blogs. Even the big players like Entrepreneur and Business Insider...consider placing your best content elsewhere. Once you’ve been blogging for around a year and you have built up an audience, you’ll want to keep your best content for yourself. But in the beginning, placing your best content on more popular blogs will help you increase your brand awareness and audience. We all dream of our content going viral, but it’s not easy to produce. In all honesty, the chances of your content going viral are slim to none. And when your content goes viral, it doesn’t stay like that forever...the question just becomes when. Instead of focusing on creating viral content (when you have less than a 1% chance of producing it), focus on creating valuable content. Valuable content tends to be evergreen, which means it can generate steady traffic over time. I mention a lot that I 100% believe in the value of building a personal brand. And you should leverage one too. People connect with people more than they connect with corporate brands. I mean, you don’t have conversations with Coca-Cola or Nike like you have with a friend. Want your blog to be popular fast? Then go with a personal brand. Want to build something big and potentially even sell it one day? Consider a corporate brand for your blog (even though it will take longer for it to become popular). Blogging is about creating conversations. But without readers and community, there is no conversation. For this reason, you can’t expect to build a popular blog without building up your social profiles. You can manually grow your follower count or run Facebook and Twitter ads, but you need to focus on your social media game. The bigger your social following, the more people you’ll have to drive to your blog, and the easier it will be to create a community. As you are building up a community, people will engage with you through comments. If you don’t respond to every comment and every message, then your community will slowly die down. Think of it this way - if you continually talked to someone and they ignored you each and every time, what would you do? Eventually, you would stop talking to them. Don’t be rude to your community. Help them out. Make sure you respond to each and every comment. Not just on your blog, but even when people comment on your social profiles, make sure you respond back. The majority of people that come to your website won’t read. Blogs tend to have an average time on site of less than 1 minute. What does that tell you? There is no way your average visitor is going to read your 2,000-word blog post in under a minute. That means people skim. Make sure you write every single piece of content with the assumption that people skim. There are lots of things you can do like leverage subheadings to writing a conclusion at the end of each post. All of these things will help your readers get value out of your content even when they don’t fully read it. Heard of the 80/20 rule? Some people spend 80% of their time writing the content and only 20% promoting it. Others spend 80% on marketing and 20% on content creation. And some spend 50% of their time writing and 50% promoting. But what about the headline? Why don’t people spend time crafting and testing amazing headlines? What most people don’t know is that 8 out of 10 people will read your headline, but only 2 out of 10 will click through and read the rest. So focus on crafting amazing headlines or else you won’t get lots of traffic. The blogosphere is competitive. You have no choice but to reveal your cards. From your secrets to the “good stuff”...you have to share it all. If you don’t share it, you won’t be giving people a reason to read your blog over the billion other ones out there. When sharing your secrets, make sure you do it early on in each blog post. It is a great way to hook your readers and to get them to read the rest of your content. When you blog consistently, do you know what happens? Your traffic typically stays flat or slowly goes up. But when you stop or take a break, your traffic will drop. And then when you start up again, your traffic won’t just go back to where it was. You’ll have to fight to gain your traffic back. Back in the day, I once took a month break from blogging and it took me three months to recover my traffic. 3 months. Don’t start a blog unless you are willing to be consistent. Not just for a few months or a year. I’m talking three years PLUS. I’m now on year five. We’ve all heard about blogs exploding with Facebook traffic or Google traffic. But do you know what happens when those sites change their algorithms? It’s just a question of when, so expect your traffic to drop. Don’t just rely on one traffic channel. Before you write a blog post (or even write your first one), think about which channels you are going to leverage for traffic generation. You need to have an omnichannel approach in which you are leveraging all of the feasible channels out there that work for your niche. You should always write for humans and not search engines. But that doesn’t mean you should ignore Google altogether. Whatever you’re planning to write about, make sure you do some basic keyword research. Head over to Google’s Keyword Planner. Type in a few keywords related to your article and it will show you a list of other popular keyword phrases. If they are relevant, make sure you blend them into your content. This one simple thing will help ensure that your content gets the most search traffic that it can possible generate. When you start a blog, people only talk about writing and marketing. But as your blog gets older, your responsibilities will grow. One of them is the willingness to kill some of your content. Not all of your content will be relevant a year or two from now. For instance, if you write about Vine, which was a company Twitter bought and then shut down, it won’t be relevant anymore. Especially if the article focuses on “Vine marketing tips”. Eventually, you want to delete it. There is no point in keeping useless content on your blog. Similar to killing some of your irrelevant content, you’ll also have to update your older content. As your content gets outdated, you’ll want to keep it fresh or people will think it’s useless and bounce away. This, in turn, will screw up your user metrics (bounce rate, time on site, page views per visitor) and reduce your credibility and traffic. If you are going to blog, don’t just care about your new content. Be willing to put resources into updating your older content as well. This is something that most bloggers don’t take into account when starting. I have started to embrace this strategy as I have thousands of articles on this blog and a lot of them are older and need updating. I have already started with the updating process and will focus a lot of 2019 on keeping my content as fresh as possible. The best visitors are repeat visitors. They are more likely to comment, link to your site, share your content on social, and convert into a subscriber or customer. No matter how good your content is, people won’t just come back unless you ask them to. The easiest way to do this is through emails and push notifications. By using tools like HelloBar, you can easily collect emails and send out a blast every time you publish a new blog post. And tools like Subscribers will allow you to build a push notification list. Don’t start a blog without building an email list or push notification list. You’ll find that people who opt-in to them are much more likely to convert into customers. Build this from day one. A lot of bloggers (including me) have made this mistake. We all wait until we have loads of traffic before we monetise. But if you go years before trying to monetise, people will assume everything on your blog is free...and always will be. In other words, you are training your readers that they shouldn’t pay for anything. And that’s fine if you have no plan to sell anything. But you should train them early on that not everything is free. This will make your revenue numbers better as you grow. You can’t rely on one monetisation strategy such as affiliate marketing or AdSense. Sometimes things happen that aren’t in your control such as an offer gets shut down or AdSense bans you and they don’t give you a reason. Not only is it a safer strategy to have multiple monetisation methods, you’ll also make more money. For example, some people won’t click on ads. Others might prefer buying an eBook from you. When you start your blog, think about all of the monetisation methods you want to try out and plan how you are going to test them out (as not all of them will work). If you can’t write with a personal touch, then don’t write. Whatever you decide to blog about, make sure you can tie in a personal story. People don’t want to read content with facts and data. They want to read content that is full of stories. If you don’t have personal stories that you can tie it, that means you are probably blogging on the wrong subject. Blogging isn’t easy. It’s no longer a hobby where you can just write whenever you want and do well. If you want to be a successful blogger, you have to be willing to put in the time and energy. And if you can’t then you have to be willing to put in money. If you don’t then you won’t do well. No matter how brilliant of a writer or marketer you are. Really think about if you are willing to put in hours each day into making your blog successful. And are you willing to do that for a few years? Or are you willing to hire someone from day one to help out? This isn’t a principle you need to take lightly. And it is the biggest reason most bloggers don’t make it. I see everyone taking about blogging from a tactical standpoint. From how you write content to even how to market it - but very few people talk about strategy. If you don’t follow the principles I’ve listed above, you’ll find yourself spinning your wheels and creating a blog that doesn’t get any traction. And if you happen to be lucky enough to gain visitors without taking into account the above principles, you’ll find that they won’t convert into subscribers or customers. So what other principles do you think bloggers should follow? Leave a comment below with some of the principles you follow. P.S. Don’t forget to get access to the FREE Blogging Workshop below!